Actually, this is kind of a non-recipe because it's quick, adaptable and so very, very good. 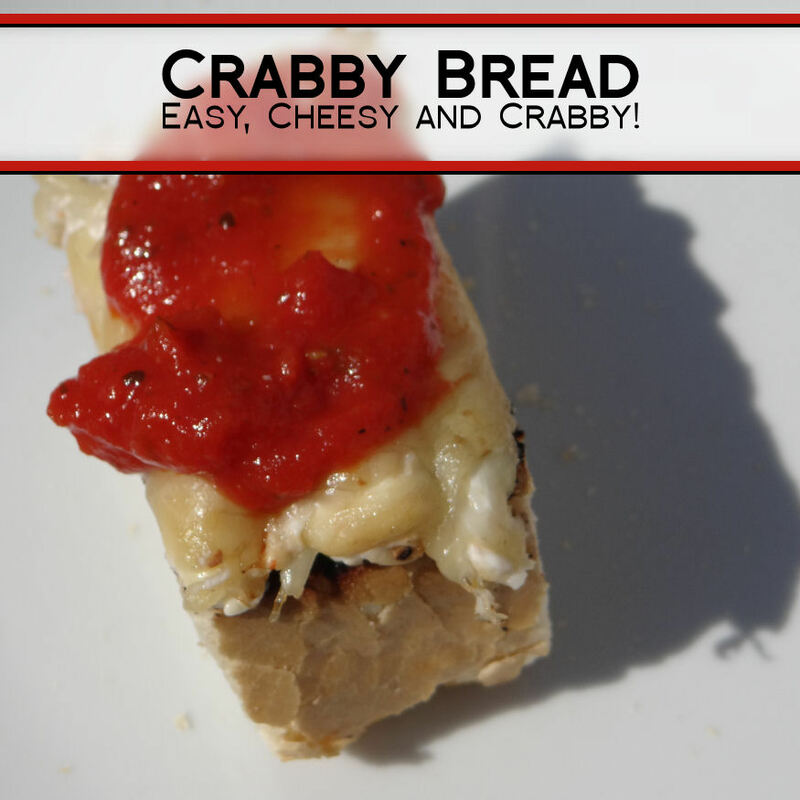 It's more of an overview of how to make crabby bread. A family favorite. This can be made either under a broiler for a crispy, toasted cheese look that's very pretty and yummy or done on a grill which doesn't make the cheese as pretty, but cooked over a wood fire adds all that great smoke flavor. 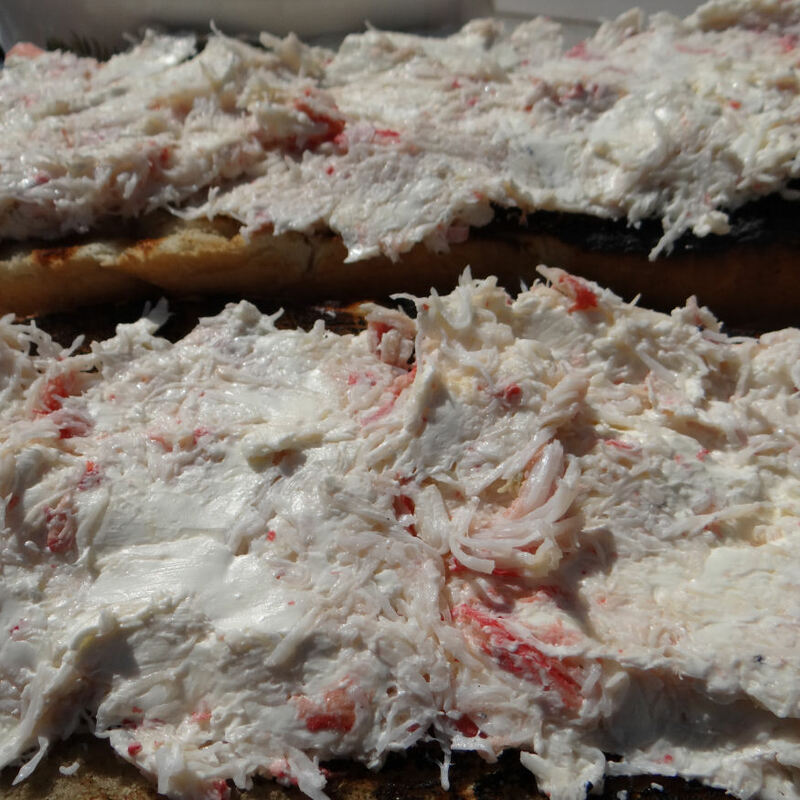 Mix the crab, cream cheese , lemon juice and hot sauce. Toast the cut sides of the bread. 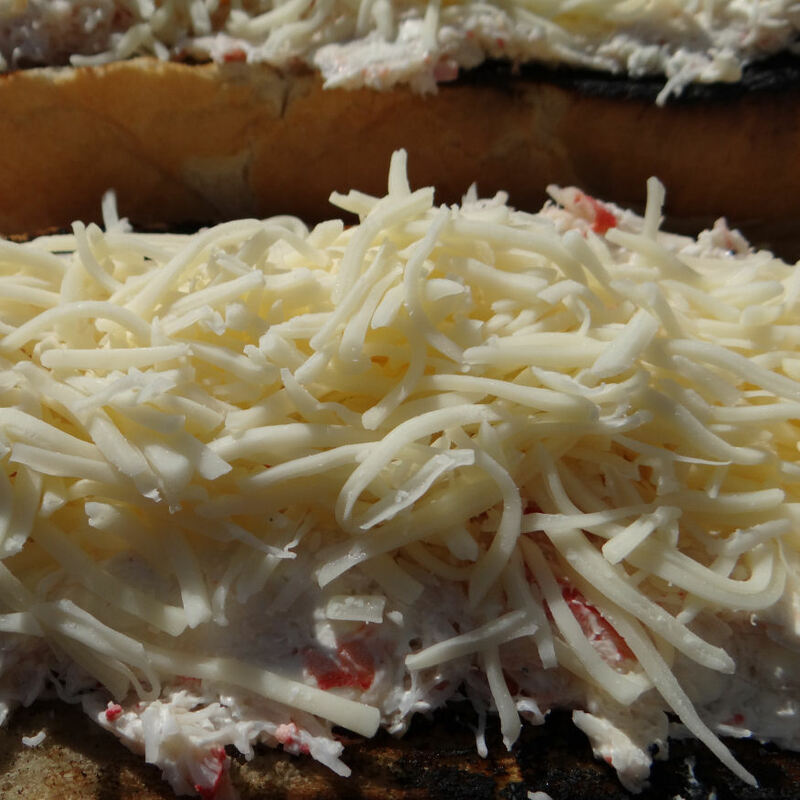 Spread the bread with the crab mixture. Then put it on the grill or under the broiler until the cheese is all melted. Serve with warm marinara. It's that easy, and the flavor is pretty fantastic. The 4 of us ate nearly all of it on Mother's Day when my husband made it on the grill over a birch fire for dinner. He also made salmon, asparagus, potatoes and carrots and I was so stuffed from the crab bread and asparagus that I had the salmon the next day for lunch! It was darn good cold too. Variations- all sorts. 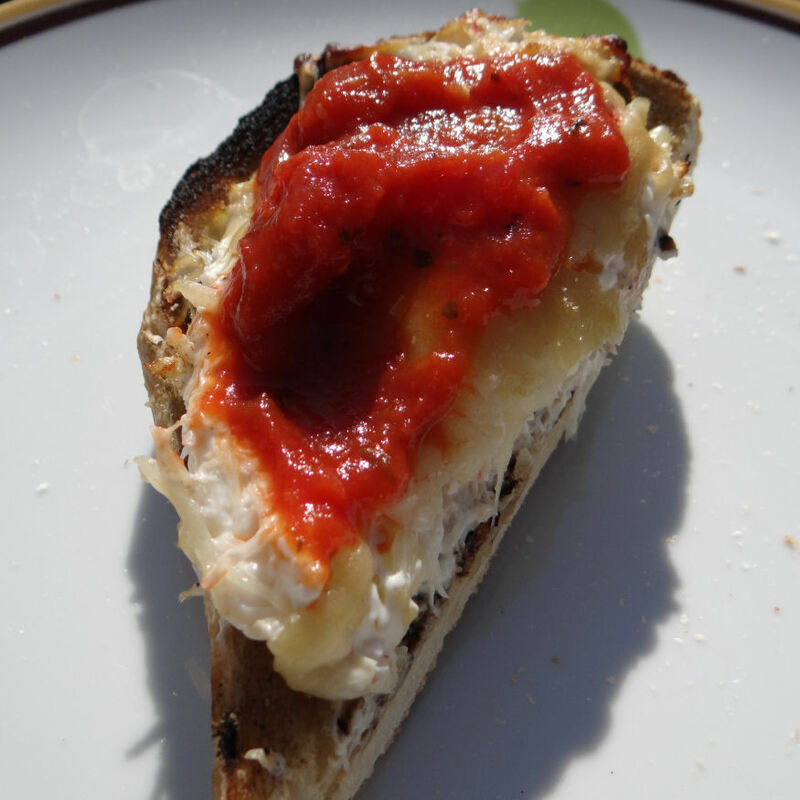 You can switch out the cheese, you can use different sauces, different breads. Doing the same basic thing but with Alaskan smoked salmon, cream cheese and a touch of horseradish on a rye loaf is amazing but very salty. Really good to serve with a very cold beer and some fresh fruit or berries. My husband also likes the crab with smoked Gruyere, but I'm pretty sure you could melt smoked Gruyere on shoe leather and he'd ruin my good steak knives to eat it. *Most Alaskan crab is already cooked. Including snow crab. I know that down south buying lump crab meat is less expensive per lb than buying any kind of Alaskan crab legs because people have told me what they are paying. Up here- snow crab goes on sale frequently and winds up being less expensive per ounce of meat than the stuff shipped up here. Don't forget to enter my $50 dollar Better Sleep giveaway!